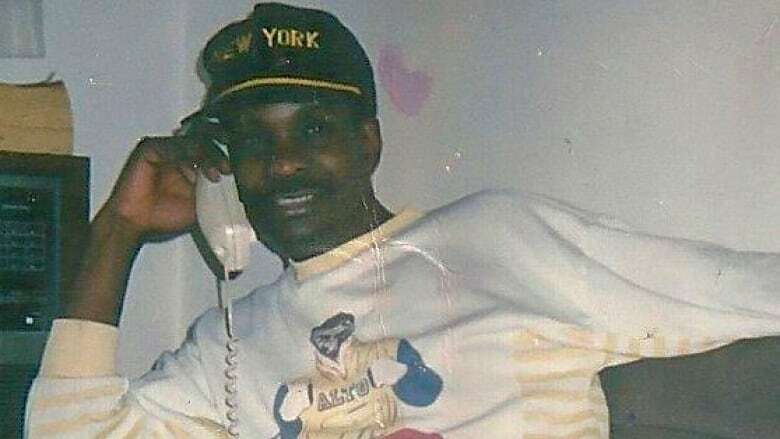 The family of 58-year-old Pierre Coriolan, a black man shot and killed by Montreal police last June, is suing the City of Montreal over the "brutal and excessive" police intervention that led to his death. Coriolan was shot and killed in the hallway outside his apartment on June 27, 2017. 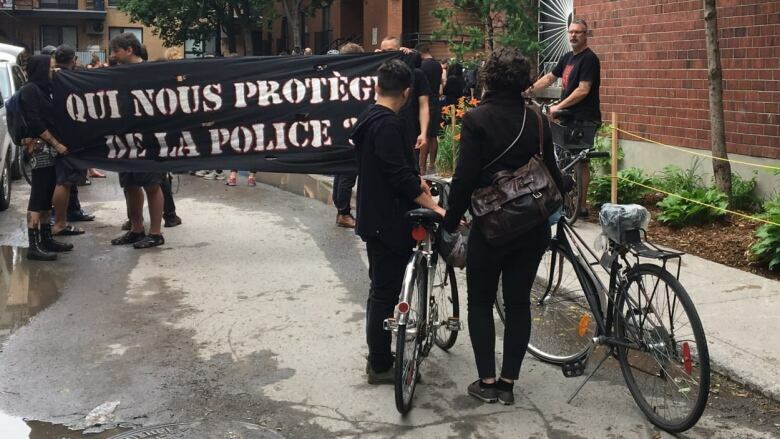 Officers were responding to complaints that Coriolan was smashing things and yelling inside his apartment on Robillard Avenue near St-André Street in Montreal's Gay Village. A four-minute eyewitness video, filmed on a cellphone and turned over to Coriolan's family by one of his neighbours, was played for reporters at a news conference Wednesday morning. You can watch the video below. A warning: it contains images and audio from the minutes before and after Coriolan is fatally shot. Some members of our audience may find it disturbing. 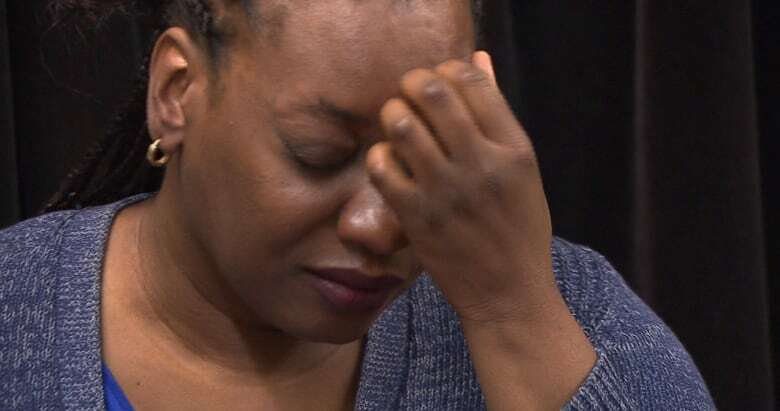 CBC News has chosen to include it in this story because the intervention is the subject of an investigation and Coriolan's family is suing the city of Montreal. The video is an important piece of evidence in the case. Community activists Will Prosper and Maguy Métellus and the family's lawyers sat alongside Coriolan's niece, Joanne Coriolan, who held her face in her hands and cried for much of the morning news conference, shuddering when she heard the gunshots echo as the video played. The lawsuit was launched by two of Coriolan's sisters, who are seeking a total of $163,426 in damages. They were not present at the news conference. The video shows a chaotic scene in the hallway of the apartment building as officers use plastic bullets, a stun gun, then their guns to subdue Coriolan, who appears to be armed with either a knife or a screwdriver. Quebec's Independent Investigations Bureau (BEI) is still looking into the shooting. The BEI said in a statement at the time of the shooting that police first received 911 calls about Coriolan making noise in his apartment at 7 p.m. ET. The video recording starts at 7:30 p.m. It's not clear how long officers had been on the scene before the recording began or what interactions they had already had with Coriolan. For the first five seconds of the video, there's no image, only sound. You can hear what appears to be a gun firing a plastic bullet, followed by the crackling of an electronic stun gun. You can then see five officers, weapons drawn, their backs to the camera, crowded into a narrow hallway. Other officers off-camera can be heard yelling around a corner in the hallway. Eight seconds into the video, Coriolan comes into frame, appearing to exit his apartment and head toward the officers, who are only a few metres in front of him. At that point, the neighbour filming the events ducks briefly into his apartment, so the image is obscured, but you can clearly hear two or three gunshots. Then the camera focuses back on the hallway. An officer yells, "À terre! (Hit the ground!)" Coriolan can be seen on his knees, with four officers visible, still pointing weapons at him. He can be heard yelling, in French, "Pas capable (I can't.)" Then one of the officers is heard asking a colleague in French, "Do you have another shot?" After an unintelligible response, the officer yells, "Take the other shot." Two shots then ring out, although it's not clear if police discharge plastic bullets or live ammunition. Coriolan collapses on the ground. He's lying around a corner in the hallway, so his torso is out of frame. Only his legs are visible. One of them twitches. An officer yells, "Knife." All this takes about 45 seconds. One officer then approaches Coriolan and kneels beside him, appearing to search for weapons. Another officer then approaches Coriolan and extends a telescopic baton, swinging twice, hard, toward his arm. The officers lower their weapons, and one of them is heard speaking into his radio, saying, "A man, possibly injured by gunshot." The officers are now standing calmly talking to each other. One says, "It's a screwdriver he had." Then another officer says, "No, it was a knife." Then officers are heard saying, "He's injured. He's hit." The officer kneeling beside Coriolan then tosses aside a weapon taken from his hand, but it's not clear in the video whether it's a knife or a screwdriver. Coriolan's legs can be seen convulsing as one of the officers says there's blood on his face. One officer says Coriolan is still breathing, and then another officer says, "No, he's not breathing." The video ends with an officer telling witnesses in the hallway to get back into their apartments. Coriolan was pronounced dead later that evening in hospital. The sequence of events matches what the BEI first reported about the altercation. Coriolan's niece Joanne Corialan struggled through the news conference, at various points dabbing her eyes with a tissue, burying her head in her hands, and at one point leaving the room before returning. She was too emotional to speak, so community activist Maguy Métellus read a statement written by her paying tribute to her uncle, whom she considered to be like a father to her. "He was a loving and lovable man, a well-groomed man who never went out without being dressed to the nines, and who always perfumed himself to the point of leaving a cloud of his scent in the air when he passed through a room," Métellus read. "We cannot believe that police officers treat people this way," the statement continued. "We therefore have a duty to denounce. This type of situation must be avoided at all costs so that it does not happen over, and over and over again." Prosper, the former RCMP officer, told CBC he was in shock and disbelief after first watching the video. "The first question I asked myself is, 'Why don't you take the time?' There's no rush." Prosper said. "The only thing Pierre was threatening was his own apartment. He was not a threat to anybody else. 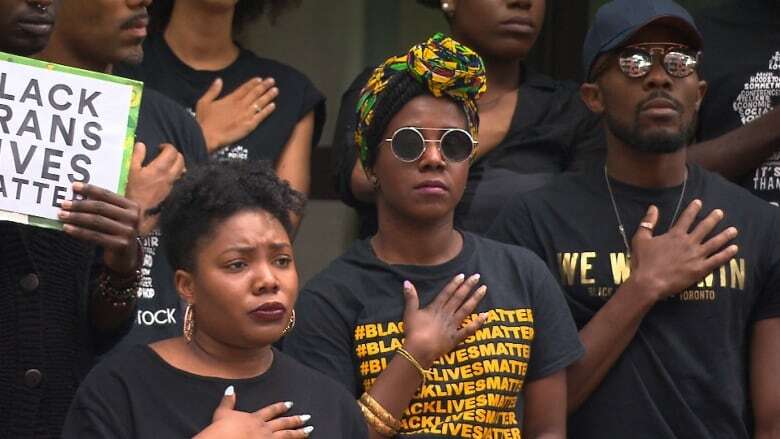 "What is the threat of a black man kneeling down? It's a firing squad he's facing," Prosper told reporters. 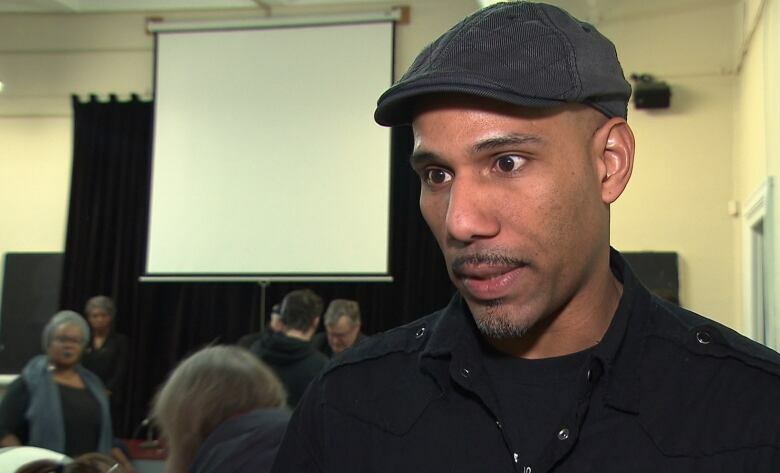 Prosper also questioned the lack of communication between the officers and Coriolan. The only time on the video they directly speak to him is when they order him to the ground after he's been shot. "You see there's no communication, nothing mentioned to him as he's kneeling down," Prosper said. Prosper also asked why it was necessary to hit Coriolan with the telescopic baton to apparently disarm him after he'd already been shot and was on the ground. Montreal police said Tuesday they couldn't comment on the case while it was still under investigation. A couple of days after last June's shooting, then-police chief Philippe Pichet told CBC's Daybreak that more officers would be receiving training to deal with situations in which someone is having a mental health crisis. Public Security Minister Martin Coiteux said Wednesday morning that this was a "sad event." Coiteux said the reason his government created the Independent Investigations Bureau was to shed light on such events. 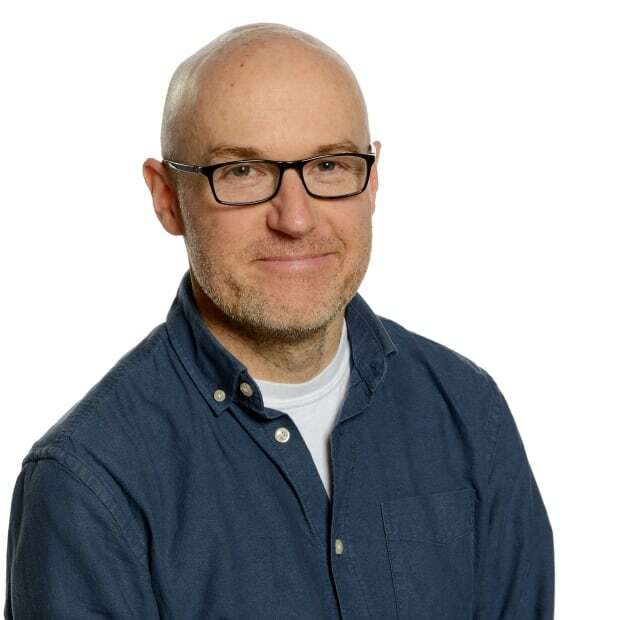 Steve Rukavina is a journalist with CBC Montreal.